If you are a parent reading this then I'm sure, like me, you are pretty regularly wondering if your baby or toddler is doing the things that they 'should' be doing for their age. I think if you have other older children then perhaps this is less of a concern. However, as a first time parent I am clueless! For me, I find myself regularly comparing Jake to others of his age and mentally ticking off the things he can and can't do. My mission isn't to endlessly test and push my child. Instead, my motivation is to ensure that, as his parent, I am offering all that I can to support him in his development as a small human being and that I am allowing him to reach the milestones needed. One of the ways you can check all is as it should be is by visiting your Health Visitor (and Doctor if there are concerns) but this can be timely and difficult to fit in if you work full time and availability of these services can be limited for some families for various reasons. Another way is by speaking to other parents/ carers or childcare professionals at baby clubs, nurseries etc. but the easiest way you can get a sense of 'where you should be' is by going online to www.4Children.co.uk and looking into what they have on offer. 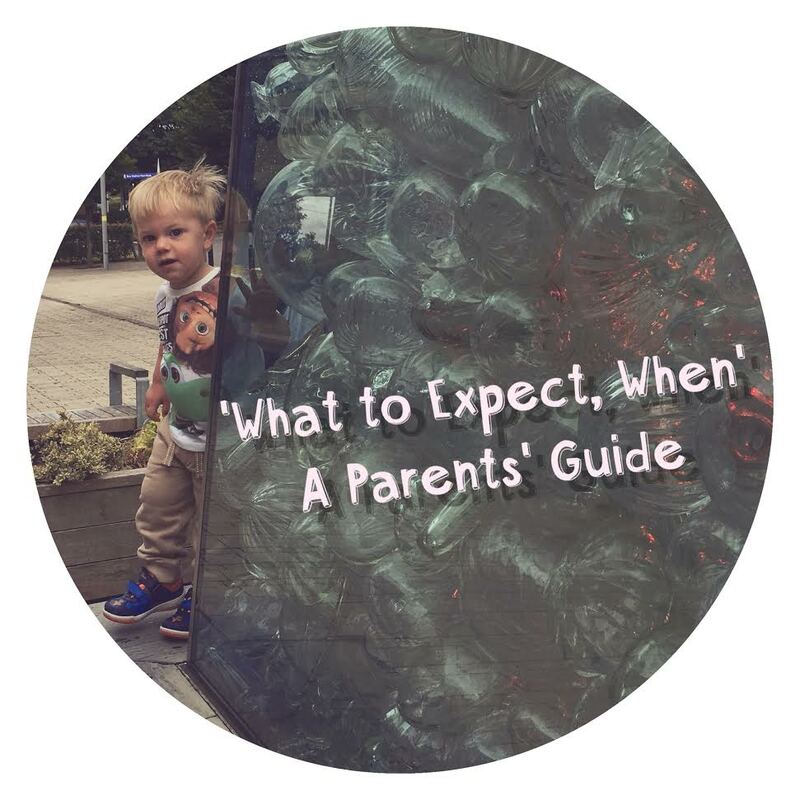 When Jake was around 8 months old I discovered a fantastic online document titled 'What to Expect, When' which is a parents' guide to the expectations of the Government's Early Years Foundation Stage (EYFS) and the different age bands within this. Anyone who puts their children into childcare will/should know that the providers have to follow and adhere to the Early Years Framework. The Early Years Foundation Stage Framework 'exists to support all professionals working in the EYFS to help your child, and was developed with a number of early years experts and parents.' It is also about getting children ready for school and preparing them for 'their future learning successes'. What's wonderful about this document for parents is that each of these areas of learning are mapped across 6 ages bands and at each point examples of things your little one might be doing are given. In short, it provides a very parent-friendly guide to find out how your child is learning and developing during their first five years, in relation to the EYFS. Not only does it give you a sense of where your child is at, it also makes some very practical suggestions as to how you can help your child in the 7 key areas outlined - this is a really important way of ensuring you can support your little one if there are areas they may not be as far along as you'd like. As a Mummy who is also an English Teacher, I particularly liked this statement made in the booklet: 'Communication and language and literacy are VITAL areas for you to enjoy supporting your child with. It is important that your child grows up to be a good communicator and a keen reader.' Fanatastic! I have blogged about reading and literacy before, here. But this statement just confirms my firm belief that reading is vital. If this sounds like something you're interested in finding out more about, you can access the Parent's Guide 'What to Expect, When' here. Let me know what you think and how you get on! I like to regularly have a check on things that I can expect from Oliver. Fab post, reading is sooo important and we are soo lucky that we have two boys love reading. We have a reading tent in our living room where they can go and relax. I am an advocate of early education as i have seen our two boys thrive and learn so much in nursery and pre-school.